The Killers will return on Saturday night to headline the Pyramid Stage since their last outing in 2007. 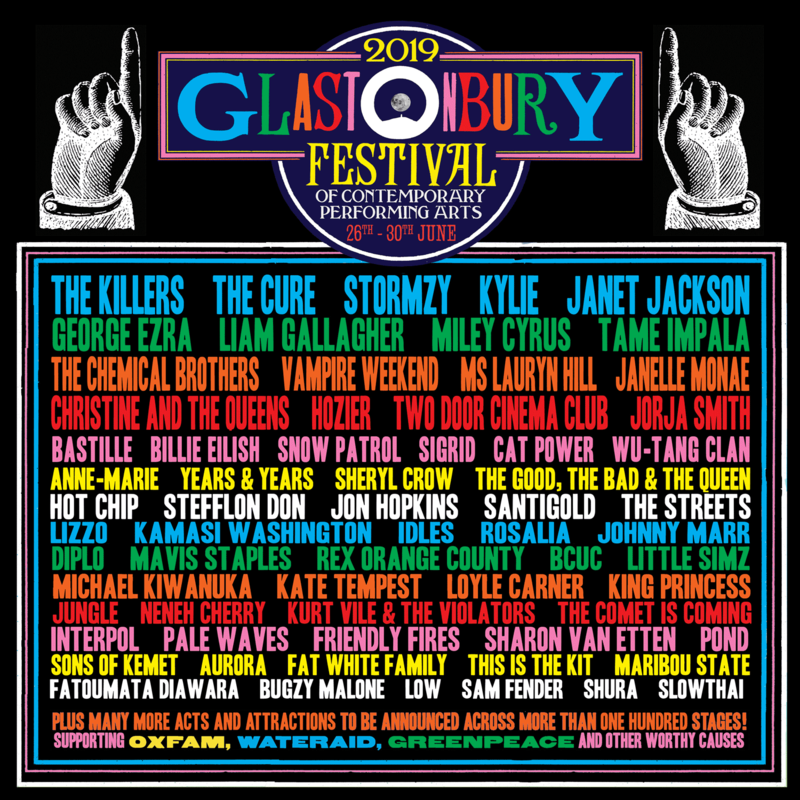 On Sunday night, The Cure return to headline the Pyramid for the first time since 1995, in what marks a record-equalling fourth Glastonbury headline set (Coldplay being the only other act to have occupied the closing slot four times). The Cure previously also headlined in 1986 and 1990.